Either 2, 3 or 4 Giant Zorbs. Balls are 3 m in diameter. 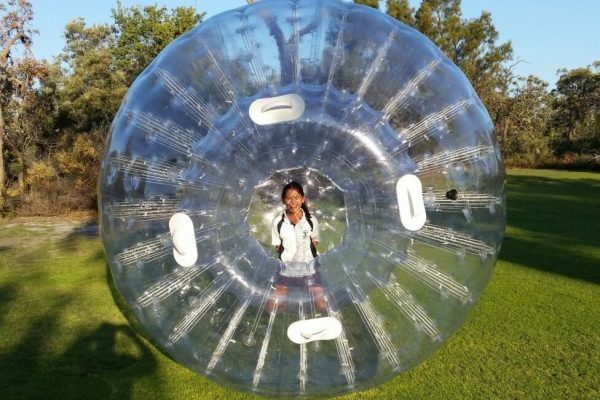 Zorb Track requires approximately 18 m x 11 m.
Power requirements – 1 x 10 amp for duration, 1 x 10 amp for inflating the balls. New Item! Try these Giant Zorbs. Also known as Human Hamster Balls or Monsterballs. Can be used by kids and adults alike. 1 Giant Zorbs for 3 hours $450 plus GST. 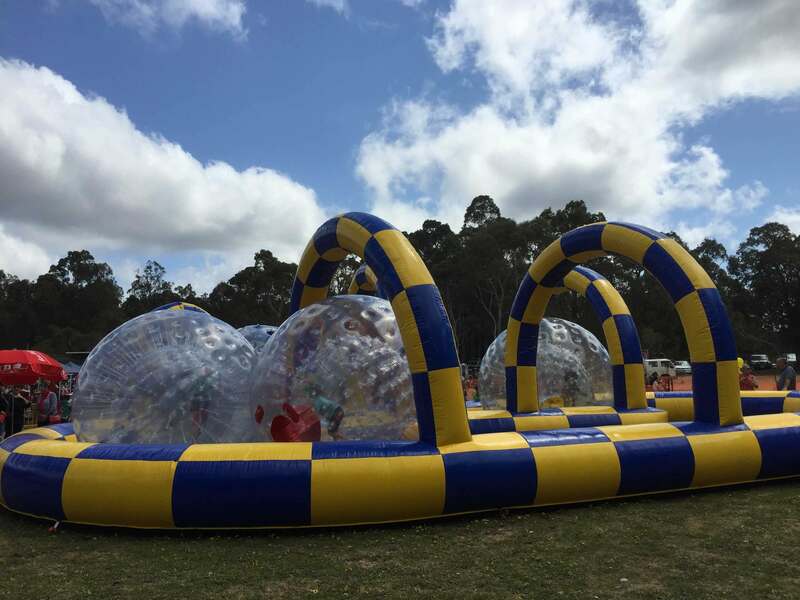 2 Giant Zorbs for 3 hours $750 plus GST. 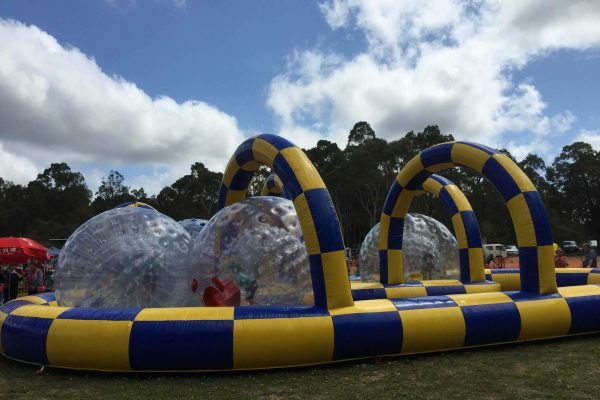 3 Giant Zorbs for 3 hours $900 plus GST. 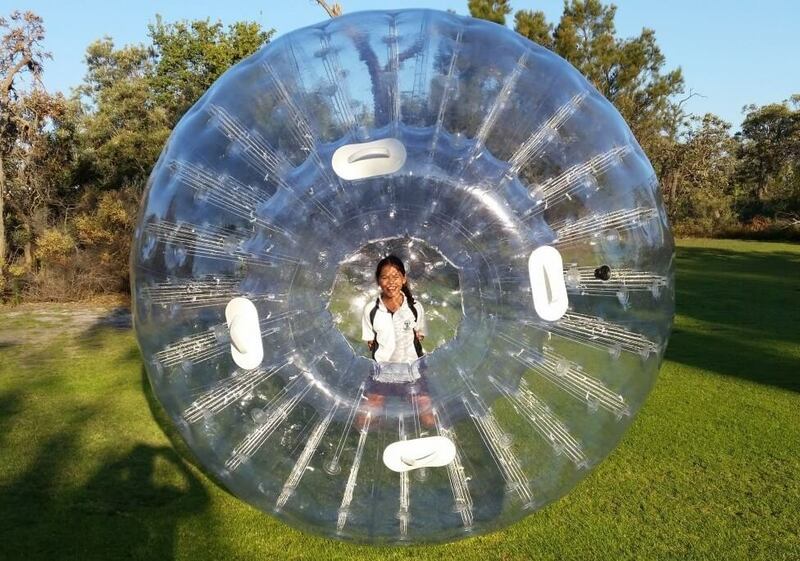 4 Giant Zorbs for 3 hours $1000 plus GST. Extra Hours $100 plus GST per hour per ball. *The above prices include staff. 1 – 2 Giant Zorbs, 1 operator. 3-4 Giant Zorbs, 2 operators. If you require additional staff we charge $35 plus GST per staff member per hour.